It is fall and that means it is football season! While I may not follow the game super close, I definitely enjoy the atmosphere and energy of a football game! 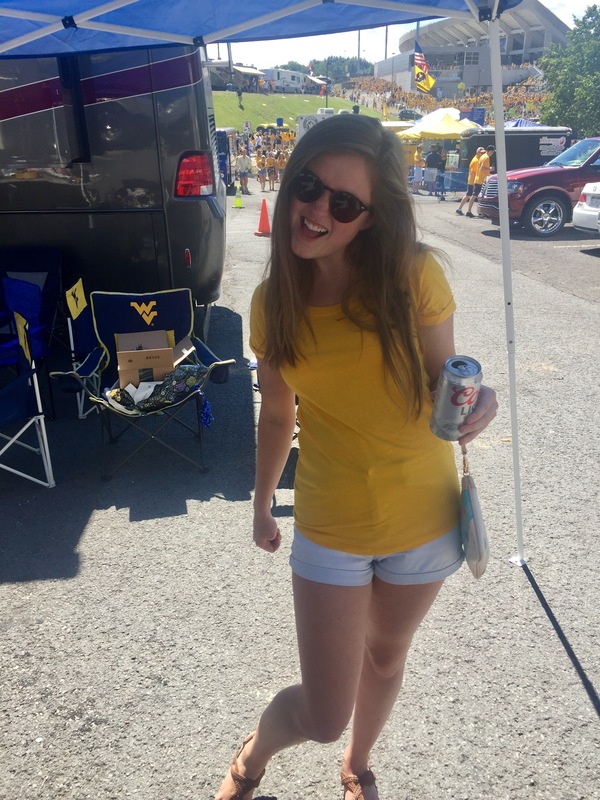 I went to West Virginia University, which is a school known for their rowdy celebration parties and undying team team spirit. College has to be my favorite, going back to campus and representing your school with such passion while recounting memories. 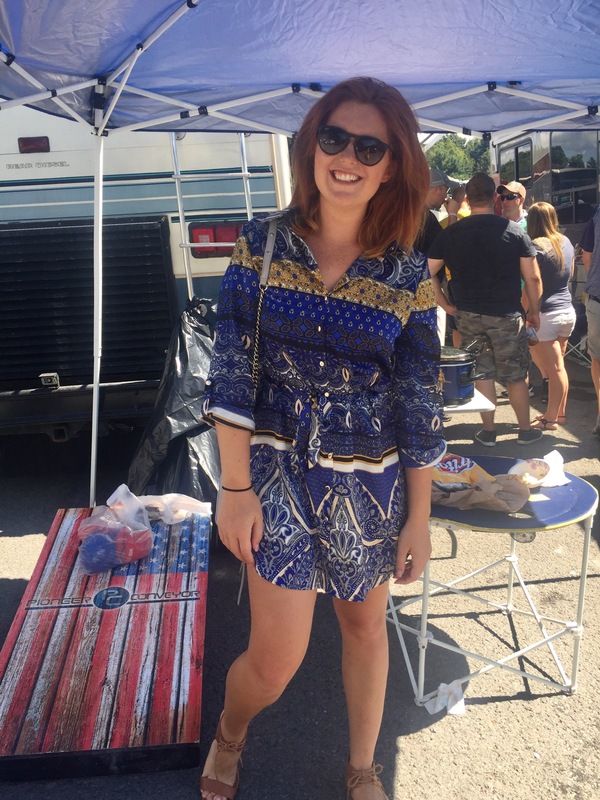 One of the most important parts of any college game is the tailgate! People go all out filling the town with RV’s and full on pig roasters. The food, drinks, and company make you feel ready to cheer your team to victory. 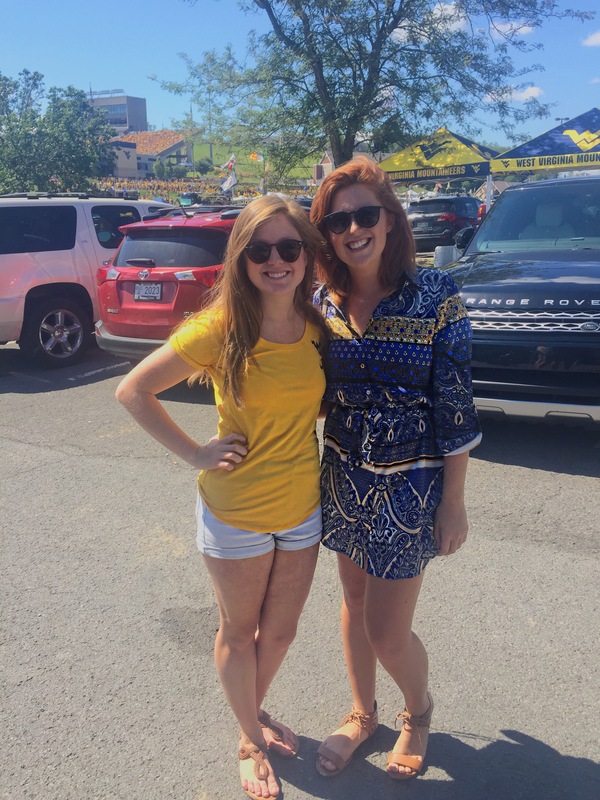 As for the clothes, I broke the rules in order to look cute on game day! 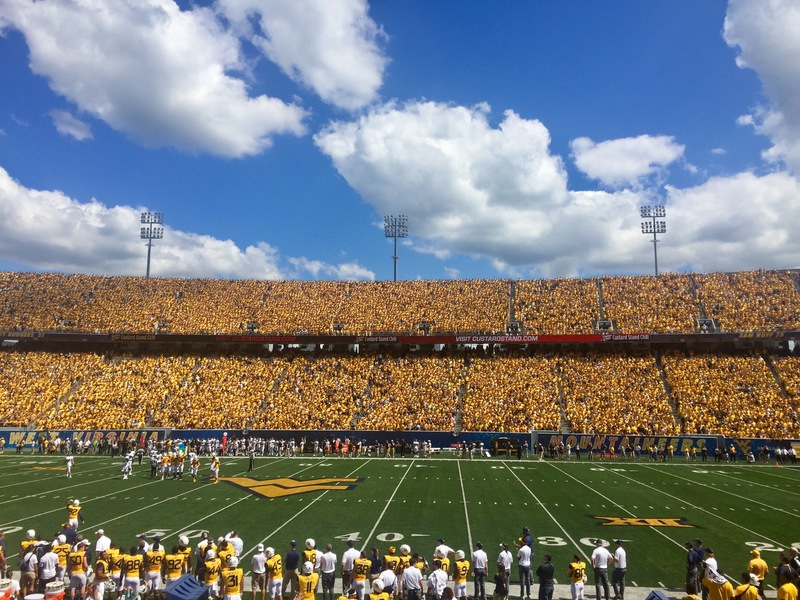 A lot of schools choose a couple games a season to dress in a certain color. Of course this past weekend was a Gold Rush meaning all gold everything! I was unable to find anything cute that was gold so I chose a dress with gold accents instead. Printed dresses in your school’s colors is a great way to look cute and keep your team spirit at the same time. Another game day option is something casual and comfy! My beautiful bestie followed the rules an wore a gold t-shirt with some shorts! It is a go-to staple for early games or on a hot day. No matter what you wear or what team you cheer for, stay stylish and have fun!